The Chinese Defense Ministry has protested the National Defense Authorization Act (NDAA) for 2019 which was signed into law in the US by President Donald Trump earlier this week. In addition to raising wages for troops – the largest such rise in 10 years, and investing heavily in advanced weapons technologies, such as the F-35 fifth generation stealth fighter jet – the act also boosts the capacity of the Committee on Foreign Investment in the United States, in particular to curb the large number of Chinese investments in the US. But what has irked China the most are the clauses in the act which call for boosting military cooperation with Taiwan, including military exercises, senior level military exchanges and easing the sale of weapons to Taiwan. “The China-related contents in that act are filled with a cold-war mentality, advocating confrontations between the two countries and interfering with China’s internal affairs,” said Defence Ministry spokesperson Wu Qian. The One China Policy says that there is only one China, one Chinese government and that Taiwan is a breakaway province. The Chinese Foreign Ministry previously said that the One China principle is the precondition and political basis for any country having relations with China. “We will never allow anyone, at any time or in any form, to separate Taiwan from China,” Wu said, adding that protests have been lodged with the Pentagon. Trump has previously said he supported the One China Policy, but hinted that it should be linked to other issues in the China-US relationship. 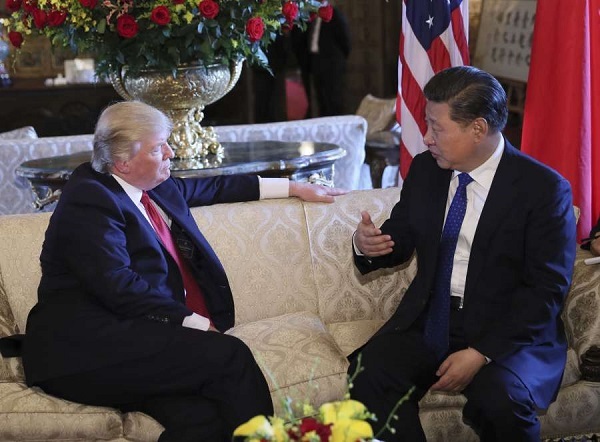 “I fully understand the ‘one China’ policy, but I don’t know why we have to be bound by a ‘one China’ policy unless we make a deal with China having to do with other things, including trade,” Trump told Fox News in December 2016. China and the US are currently locked in a trade war following Trump’s slapping of additional tariffs on steel and aluminum imports, as well as dozens of Chinese-made products. Meanwhile, on Wednesday, the White House denied any change to its One China Policy. This came after the President of Taiwan Tsai Ing-wen visited Los Angeles and delivered a speech on Monday outlining that her country’s freedom “was not negotiable”. Tsai was in transit to state visits to Belize and Paraguay. The US State Department on Wednesday also said that Tsai’s speech did not indicate a change in US policy and that Washington acknowledges Beijing as the sole government of China. However, it said that Taiwanese officials are allowed to transit the US to other countries. Beijing filed a formal complaint with the US government ahead of Tsai’s trip late last month, and again following her speech on Tuesday.